Welcome to Spiral Spine! This is the place where you get to hear from me on a regular basis and I get to hear from you. I’ll keep you updated on the latest in the scoli world and will post inspirational and proactive guidance that is simply not spoken about anywhere else on a mass scale around the world. 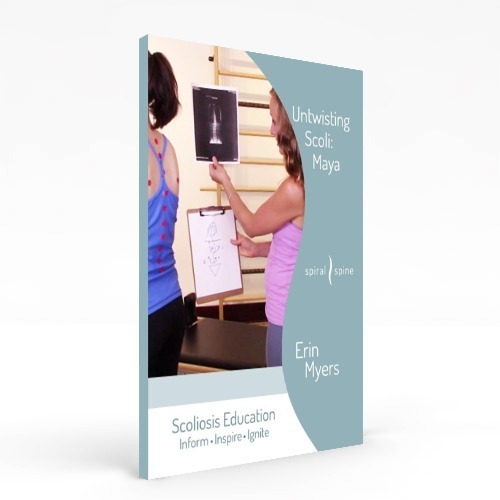 I received phone calls, emails, and social media messages from people all over the world seeking guidance about scoliosis. Spiral Spine will be a platform where I will share answers to those questions so everyone can benefit from the answers. The scoli world can be a lonely, scary, and directionless place at times and I’m hear to stand in that gap. Please stand with me. I’m excited to start the adventure with Spiral Spine. Want to ask me a question? Go to the Contact section of the website and send me a note. I may use your question as part of my video Q&A series. Hope to hear from you soon!